This is the updated, detailed schedule. Some details may be subject to change, however it is set for the most part. 18:30 [2F] SpinTop, Semi-Final Results! 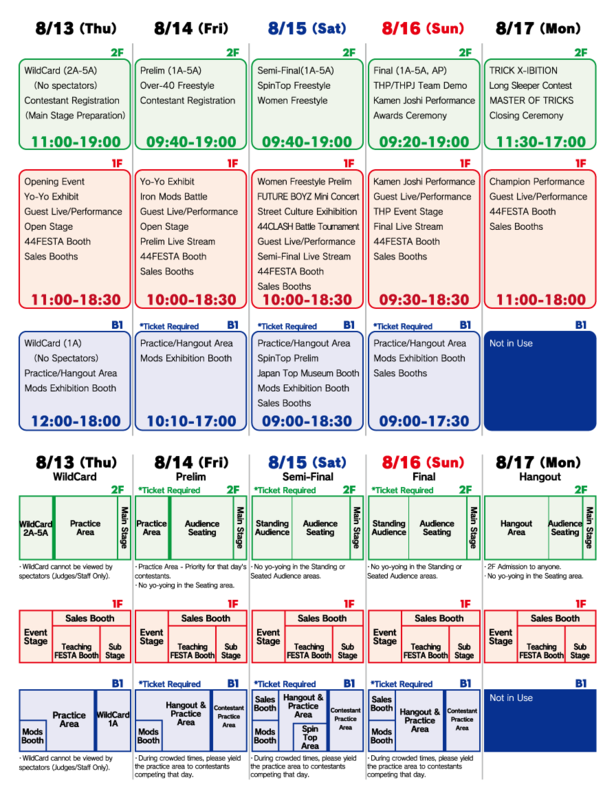 We will publish the 1F Event Stage Schedule at the contest. The above schedule times are subject to change. We request that contestants be prepared to be flexible.